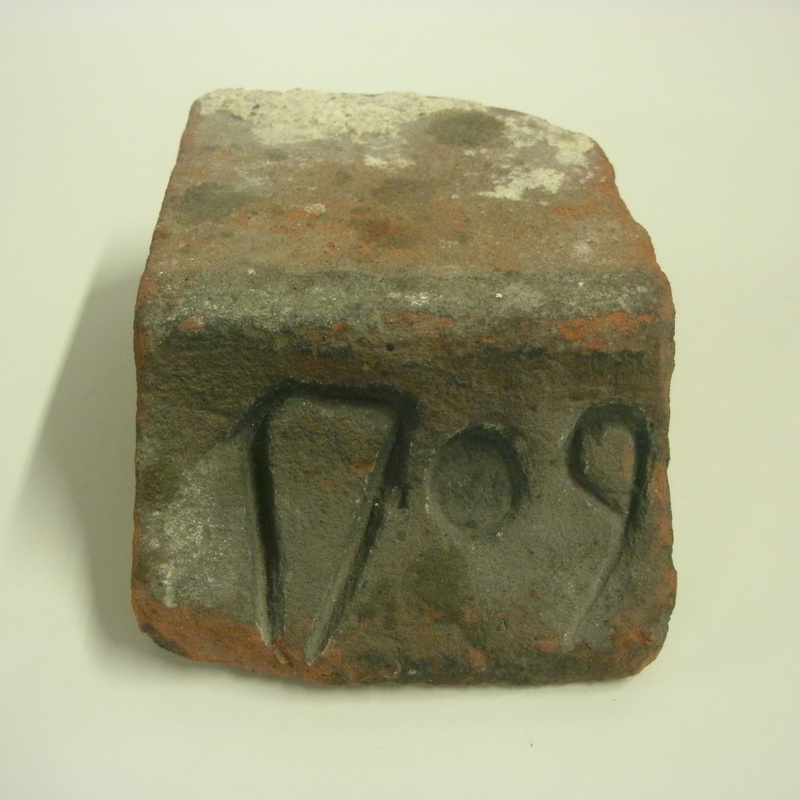 This datestone was discovered in the Abbot’s Hall cellars in 2006, shortly after the museum took ownership of the house. It was originally part of a chimney stack and dates the current building at over 300 years old. The history of the Abbot’s Hall estate goes back far further than this however, with the land on which Abbot’s Hall stands once owned by the Abbey of St. Osyth in Essex along with much of the land in and surrounding Stowmarket. Abbot’s Hall Barn dates from the period when the Abbey owned the Abbot’s Hall estate, and some of the beams in the barn have been dated c.1235. Going further back still, archaeological finds unearthed in 2011 during the excavations for the Abbot’s Hall redevelopment gave a tantalizing glimpse of previously unknown Roman occupation on the site. With the discovery of a piece of Roman amphora dating back to the 2nd Century AD, which can be found on the timeline in the Abbot’s Hall parlour, we now know that the Abbot’s Hall site has been occupied in some form for almost 2000 years!